I don’t know what I did this week but work long hours. Ughh… But I did get my box of books, so I have been giving them away to my fans and co-workers. I also have to mail them off to my family. I wonder what the postage is going to be like on that one. I also got my CDs from Amazon, so my collection of Om CDs is nearly complete (I bought “Pilgrimage” last year – you can never have too much Om, even if their brand of drone music all sounds very samey). Om, “Variations on a Theme” – Om is such a cool, unique band. It features the drummer and bass player of the awesome band Sleep – the guitarist went off to form the so-so High on Fire, showing where the real talents of the band lay. Om’s lyrics are sort of mystical, whether in a Christian or a general way, without being evangelical, just sort of trippy spacy. Opening track “On the Mountain at Dawn” contains lyrics like “arise to the sky and set free – release toward horizon/ to sun glides the albatross – set onto the skein of freedom.” The bass sound is rubbery and intense, the drums more forming a backdrop, the chanting lyrics may have been delivered by robots and the whole song is measured and repetitive, strolling along at a good walking pace. This, then, forms the template for most of Om’s songs. They do have songs that sound different on their three albums, but most of them follow this pattern. The songs are also very long – on this album there are only three, but two are over ten minutes long and one is over twenty minutes, making it just as long as some albums with eight or nine tracks. In fact, at 45 minutes, this is the longest Om release. The songs blend together and it is nearly impossible to tell where one ends and the other begins. This may annoy some, but it also makes for a smooth, trippy ride. 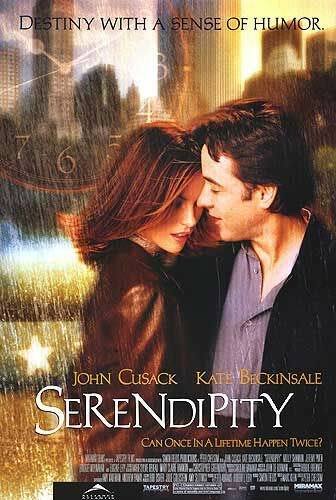 Serendipity – A love story about destiny, like where we have no choice to who will make us happy for the rest of our lives.Â Kind of like a more romantic version of “the Matrix” or the Terminator films, but with John Cusack and Kate Beckinsale as the perfect couple that need to find each other in order to make the universe whole again.Â Good script and interesting situations, the dialogue also crackles with words like “Jungian” and “disenfranchised proletariat.”Â Since this movie is about people who find true love, despite already being engaged to someone else, I wonder when they’re going to make a movie about the victims of films like this.Â After all, what could be more romantic? 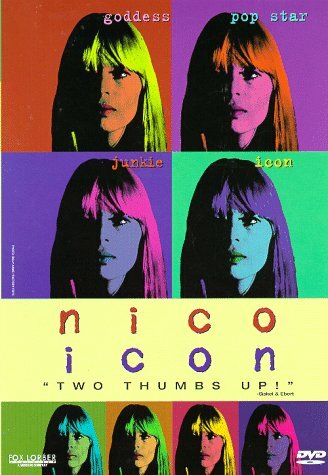 Nico Icon – The cover nearly says it all: “goddess, pop star, jukie, icon.”Â The film is spliced with interviews with legends like John Cale and Andy Warhol talking about one of their peers.Â Peppered with pictures of one of the most beautiful singers ever, the film is also one of the seamiest this side of “Bad Lieutenant” or “Requiem For A Dream.”Â Vicious in her editing, filmmaker Susan Ofteringer quickly jumps from scenes of the beautiful Nico in the late 60s and early 70s, wooing Jim Morrison and Jackson Browne, to the decayed Nico of the mid-80s when she was shooting junk in tour vans and pulling knives on band members.Â The film sets up those crazy days of youth when everyone was beautiful and indestructible and could live on rumour and reputation and even keep a small child in tow.Â The interviews with John Cale, who sings a song (for Nico?) are just as haunting as the images of the woman, with her unearthly speaking and singing voice.Â Also interviews with those no longer with us, like Andy Warhol or Sterling Morrison, are fantastic, as are select cuts from the Warhol films that feature the Velvet Underground and Nico.Â One blip is the interview with Carlos de Maldonado-Bostock, a bohemian in Paris, whose credentials and connection to Nico are a bit mysterious.Â Why is he in the movie? This entry was posted on Saturday, August 23rd, 2008 at 6:50 am	and is filed under Uncategorized. You can follow any responses to this entry through the RSS 2.0 feed. Both comments and pings are currently closed.